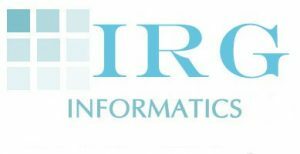 IRG Informatics offers a variety of services using both the international LOINC standard as well as the adaptation of the Canadian Approved Standard for LOINC, pCLOCD. Resources include LOINC Subject Matter experts with mapping and maintenance experience and clinical and lab experience which covers all lab domains as well as established working relationships with Regenstrief and Infoway. Services include LOINC to local LIS test catalogue mapping, LOINC to LIS code map maintenance and update analysis as well as auditing for existing LOINC to LIS code maps. IRG has developed workflow and change control processes to support large or small mapping projects. IRG is a Canadian based health, social science and justice information management company providing strategic, implementation, auditing, benefits evaluation, governance consulting, and subject matter experts support electronic health records development in Canada since 2004 and the US since 2005.